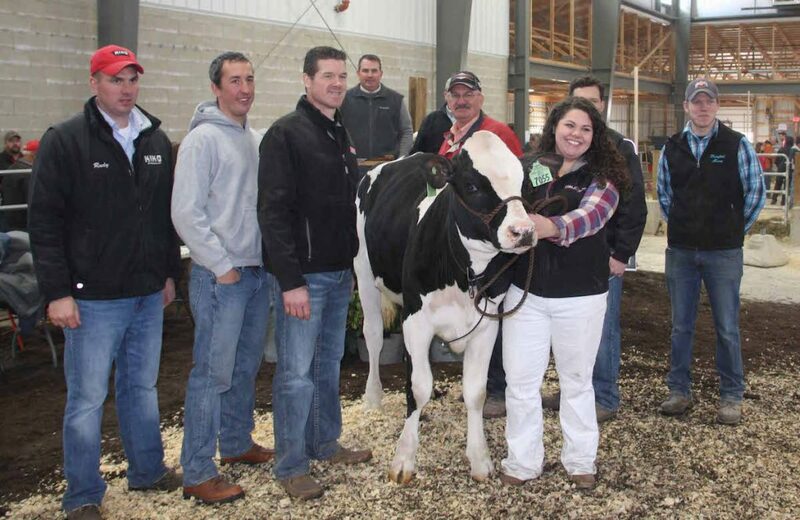 MILLERSBURG, Ohio — The top bid at the Ohio Holstein Association convention sale was a bright spot in an otherwise dismal dairy climate. During the sale March 10 at the Holmes County Fairgrounds, Pine-Tree 9882 Gate 7345-ET sold for $32,000 to top the sale. The December 2016 daughter of Triplecrown Gatedancer ET out of OCD Supersire 9882-ET was consigned by the Matthew Steiner family of Pine Tree Dairy, Marshallville, Ohio, and purchased by Gordon Lamb, Oakfield Corners, Batavia, New York. The winter calf is the highest GTPI heifer to sell in Ohio and is backed by a string of Excellent and Very Good Gold Medal and Dam of Merit animals on the maternal side. The second high-selling animal Pine Tree 6481 Jedi 7055-ET, consigned by the Springhill Joyride Syndicate and purchased by Irvin, David and Joe Allen Yoder, Montezuma, Georgia, for $8,750. 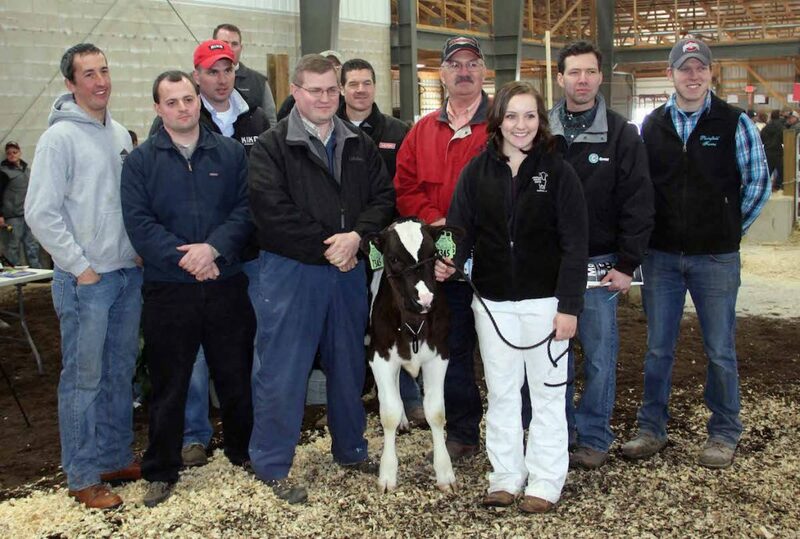 The sale averaged $3,070 on 67 live animals. Cows averaged $2,747; bred heifers, $2,835; yearlings, $2,903; and calves, $3,551. 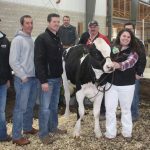 It was managed by the Ohio Holstein Association and hosted by District 7 Holstein Club. 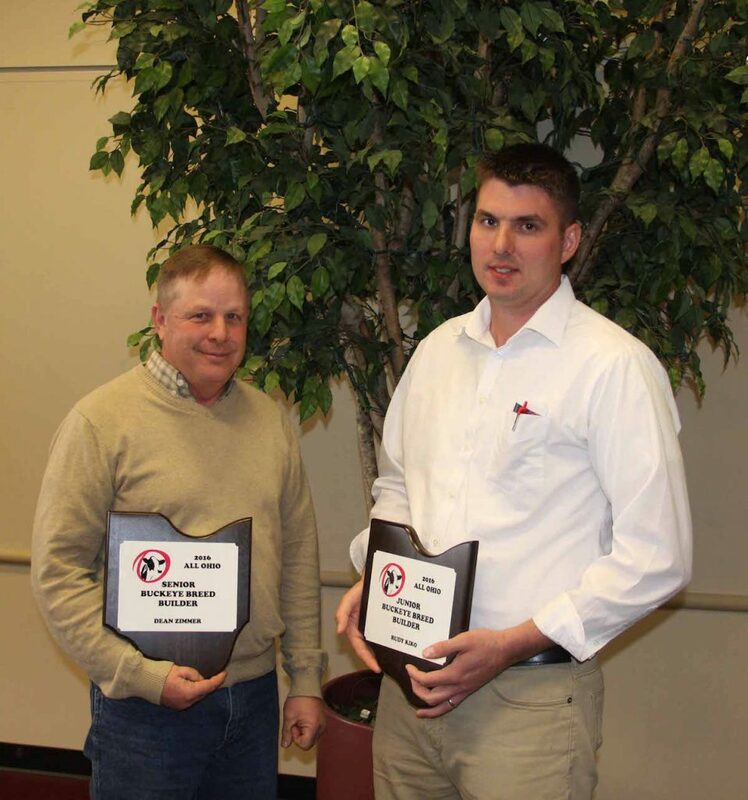 During the convention banquet, Joe Miley, of West Salem, received the association’s Distinguished Service Award, while his wife, Diana, was named the Ohio Holstein Woman of the Year. Joe Miley is past president of the association, served as a director and on numerous committees and along with his brother, Jon, and supports the association through sale consignments. The Mileys also exhibit cattle at the county, district and state levels. Diana takes care of the calves and handles the farm’s records. 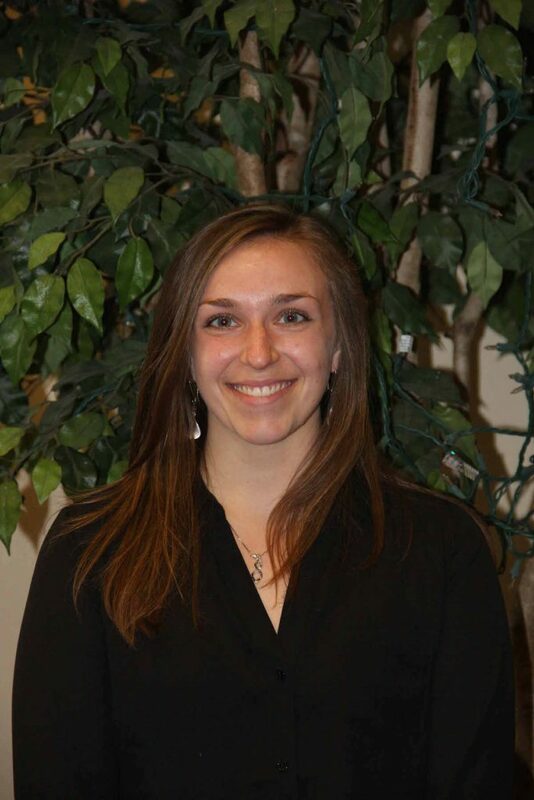 She is a 4-H adviser and also works at the Ohio Holstein Association, clerks the Holstein sales and tracks the show results at Spring Dairy Expo and the Ohio State Fair. Rudy Kiko received the Junior Breed Builder award and Don Zimmer received the Senior Breed Builder award. Kiko is in partnership with his family’s Holstein herd where they milk 250 cows, with a herd average of 26,000 pounds of milk. They currently have 18 Excellent animals. The Kikos also exhibit animals at the county, district and state levels. 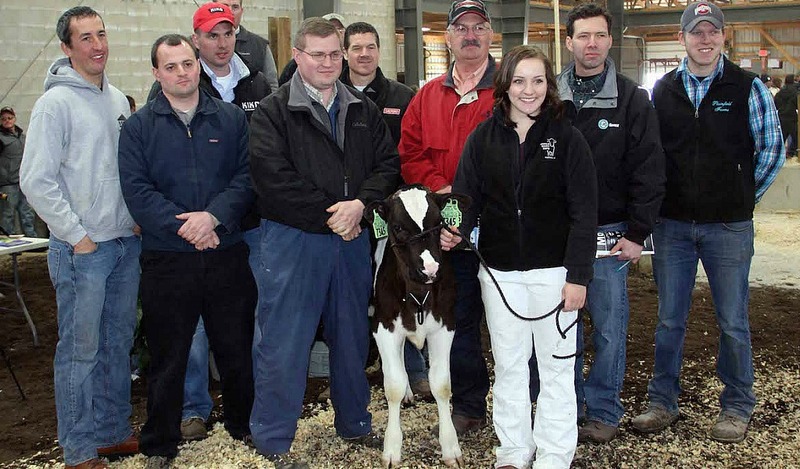 Zimmer and his family operate Zimmerview Holsteins, a herd of 395 animals, focusing on high production and high components. The herd has numerous Excellent animals, as well as Gold Medal Dams and Dams of Merit. They also have several bulls on the active list in AI studs. 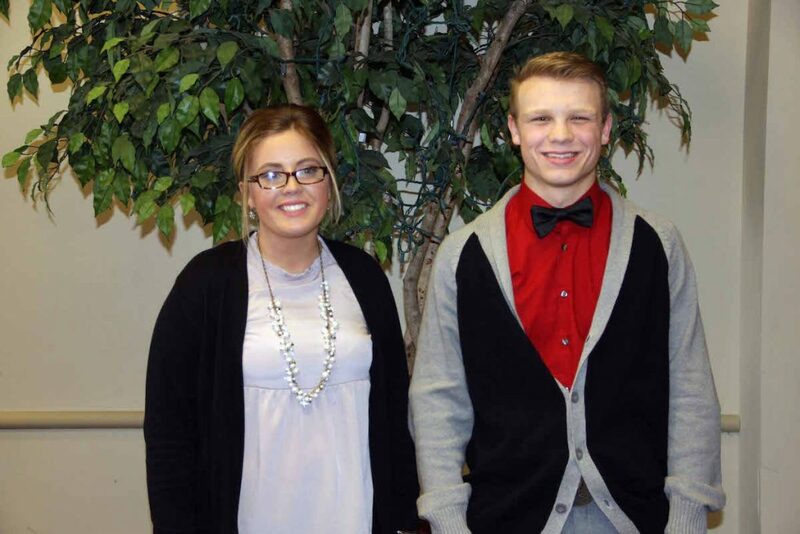 Emma Matthews and Korey Oechsle received the Distinguished Junior Member honors. 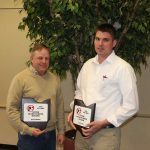 They were recognized for their involvement in the junior association, serving as officers, showing cattle at all levels, and involvement in school and community activities. Matthews also received the Memorial Award, which is selected based on the junior member’s accomplishments. 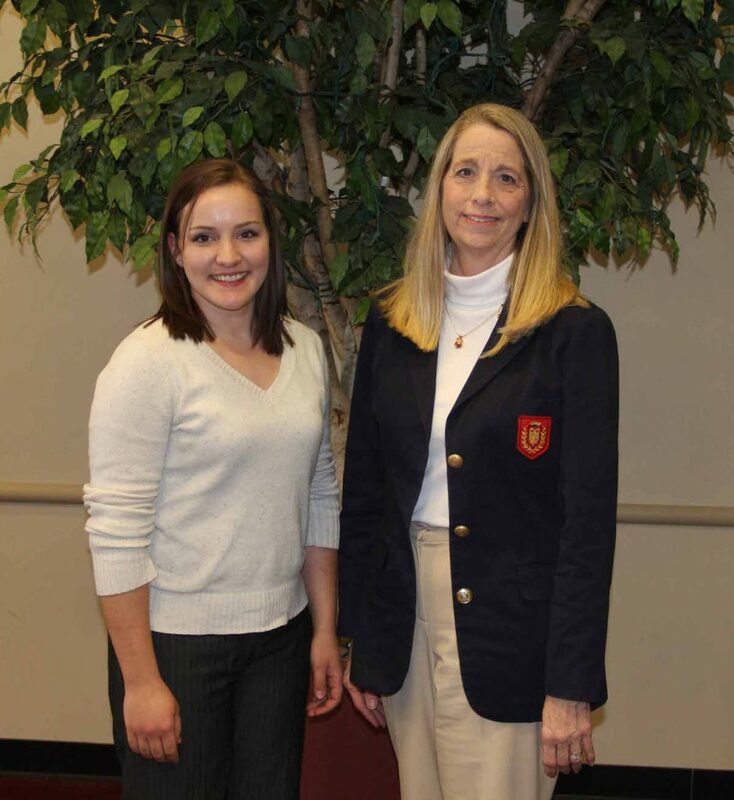 Hannah Dye received the Esther Welch Ag Communications Scholarship, which is presented to a junior member majoring in agricultural communications. 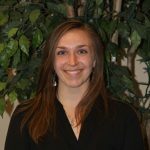 She is currently a student at Ohio State ATI with plans to transfer to the Columbus campus and complete a degree in agricultural communications. 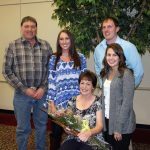 She was a member of the second place 4-H team at the national 4-H dairy judging contest and past president of the Ohio Junior Holstein Association. 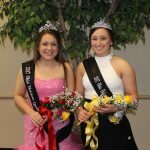 Victoria Deam was crowned as the 2017 Ohio Holstein Queen, while Courtney Lund was named as the first runner-up. 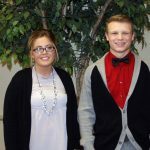 Deam, 16, is the daughter of Neil and Jennifer Deam of Sugarcreek and is a student at Garaway High School. She is active in 4-H, church and school activities and has shown cattle at her county, district and state shows. Lund, 20 is the daughter of Bryan and Christina Lund of Norwalk, and is a student at Ohio State ATI majoring in animal science. She is active in her church and has shown cattle at the county, district and state shows. 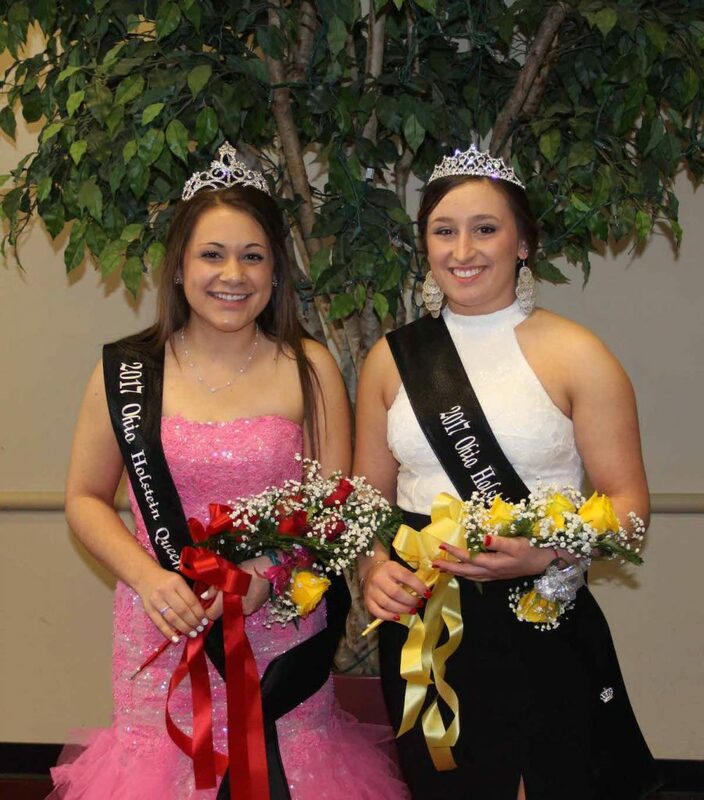 Ella Jackson received the Joanne Bickel Memorial Scholarship as the retiring queen. Junior production awards were presented to Kaleb Kliner for Miley Alexander Tiffany with 19,579 pounds of milk, 890 pounds of fat and 659 pounds of protein; Korey Oechsle with Jacher Golden Vodka with 29,551 pounds of milk, 1,119 pounds of fat and 836 pounds of protein; and Madelyn Topp with K-Y Blue Allen Rachel with 29,455 pounds of milk, 1,134 pounds of fat and 875 pounds of protein. Winning the judging contest were: senior division: 1. Jim Sheffield; 2. Darren Sheffield; 3. Jay Ackley; junior division: 1. David Miley; 2. Wyatt Kiko; 3. Lizzie Kiko. Serving as officers for the Ohio Holstein Association for the next year will be Paul Haskins, president; Bill Indoe, vice president; Suzy Lora, secretary; and Lisa Mangun, treasurer. 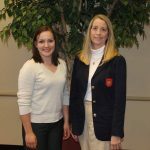 Serving as officers for the Ohio Holstein Women will be Louise Harding, president; Becky McDonnell, vice president; Sara Twining, secretary; and Lisa Mangun, treasurer. Serving as officers for the Ohio Junior Holstein Association will be Emma Matthews, president; Keaton Topp, vice president; Kinley Topp, secretary; Korey Oechsle, treasurer; and Madelyn Topp and Maggie Matthews, reporters.